Implemented the study of biomechanical criteria of efficiency of motor cycle athlete in cyclic sports on the basis of mathematical modelling. 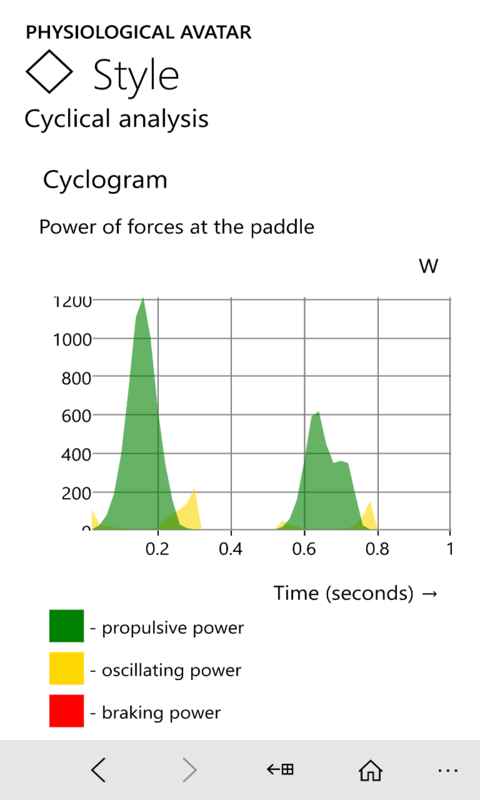 With respect to the rowing and canoeing motor cycle is parsed according to the geometrical and dynamic criteria. Implemented a formal approach to the description of "feelings" among athletes and getting her numeric indicators. Typically, the trainer for rowing and canoeing wants athlete not "fired" the upper hand "proryval" water paddle tried to do away the water capture, include more case (foremost back muscles), feet, etc. We tried to formalize in the mathematical description of these practical, intuitive techniques improve rowing technique in order to bring greater rigor, accuracy and fairness in the management of the training process. 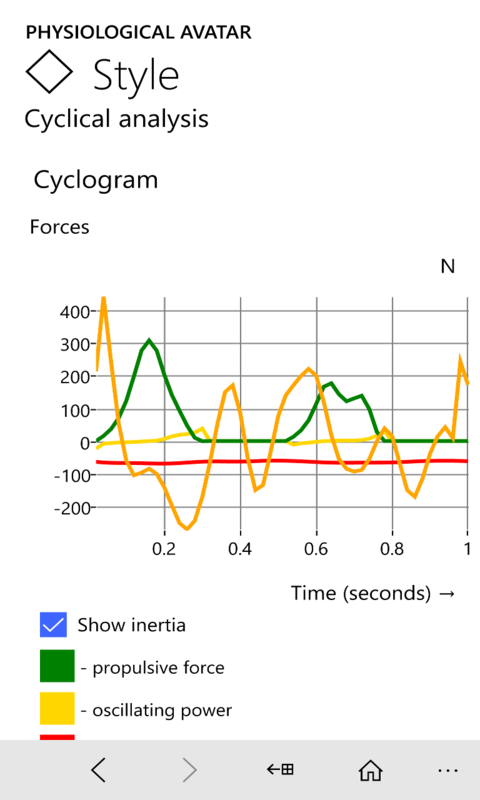 In cyclic study of motor cycle athlete modeled its biomechanical properties without regard to the physiological properties. The study does not need to pre-generate Physiological avatar. Using the style collections of motor cycle with the ability to create his own coaching style library. Styles are created video conversion. 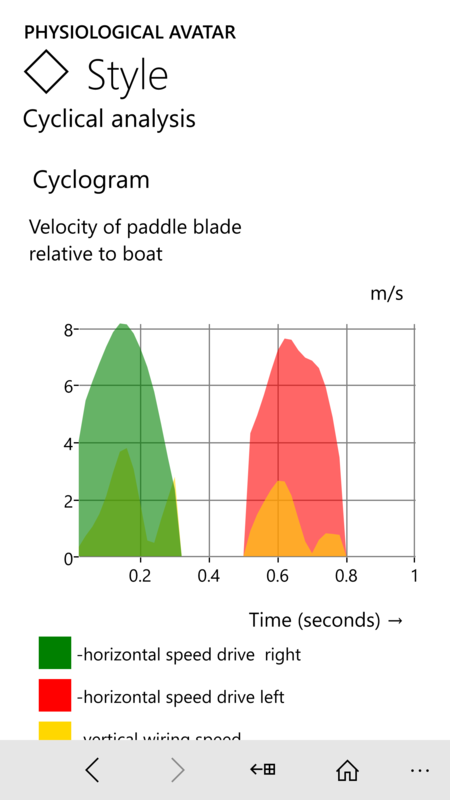 Ciklogramma the speed of the blade relative to the boat lets you analyze the movement of the paddle on the horizontal and vertical component of velocity and see "errors" when entering the oars in the water and features movement stage. 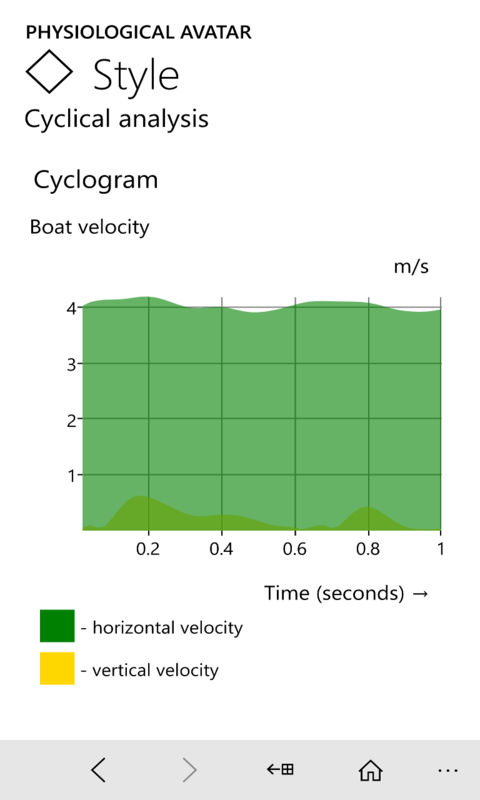 Ciklogramma speed boat represents the horizontal and vertical components of the boat speed relative to the water when the specified stroke rates. For the selected technique and selected stroke rate is calculated using speed boats at the starting line and at a distance. Ciklogramma the power of the force on the blade provides the following features: an analysis of the distribution of propulsive power by time period motor cycle; distribution of propulsive power left and right arm (kayaks); the ratio of useful (propulsion) of power and the power worthless (vertical vibrations and retarding). 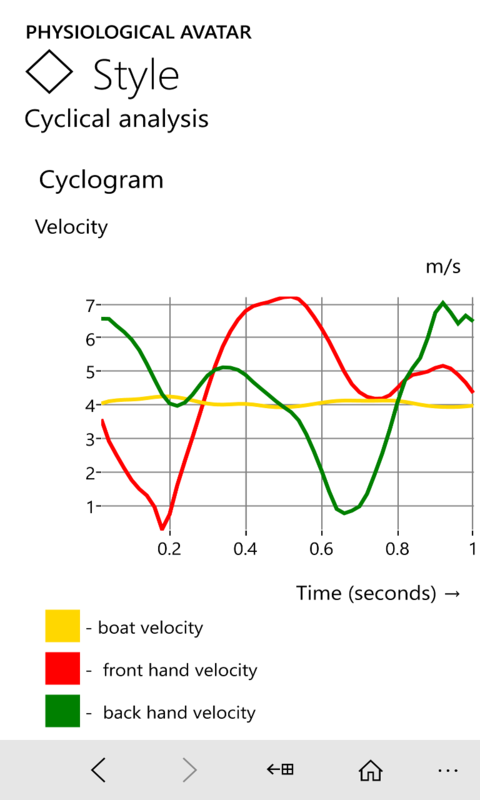 Ciklogramma forces acting on the boat, provides the following capabilities: analysis of the distribution of propulsive force by time period motor cycle; water resistance distribution by time period motor cycle; analysis of influence of inertia force arising from the movement of parts of the body of an athlete is relatively boat, on the motion of the boat. Ciklogramma absolute velocity determine the particular kinematics motions that distinguish "smooth" style of rowing "explosive" and determine errors in rowing technique. KPEdit is a simple skeletal animation editor for game developers and animators. Is a freely-distributed motion capture system. 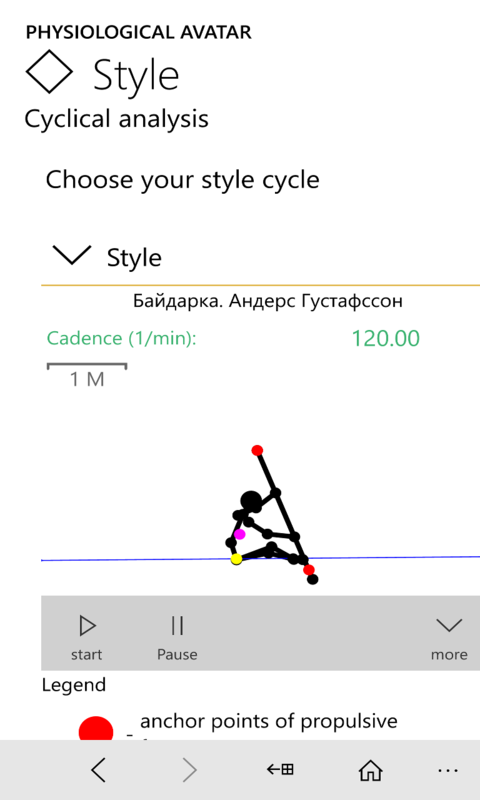 The application provides functionality that allows the user to create 2D skeletal animation based on video. Pre-recorded video can be used as a reference in order to build a Storyboard motor cycle. Download the animation template files for KPEdit skeletal animation editor. Issurin, V., (1986). Biomechanics of Canoeing and Kayaking. PhiS Publishing, Mo cow.